Blacklip Abalone is a member of the family Haliotidae. They possess a single, ear-shaped shell lined with mother of pearl and spirally ridged on the outside. The foot of the abalone has a distinct black lip giving the species its name. Blacklip Abalone feed on drift algae and graze on seagrass leaves and algae growing on rocks. Their diet is predominantly comprised of red algae. Blacklip Abalone can grow to 21 cm in length. Blacklip Abalone (also known as Brownlip Abalone) are endemic to Australia and are found from mid NSW down and along the southern coastline to Rottnest Island in Western Australia. They are also found in the coastal waters of Tasmania. 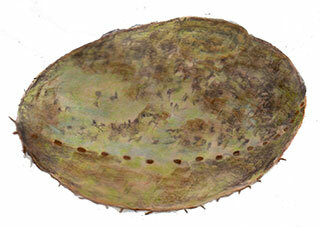 Abalone adhere to rocky surfaces and inhabit crevices and caves on reefs. They generally inhabit waters between 5 and 10 m in depth, but can be found in deeper waters up to 40 m in depth.